Today is day four of the debut sale for the Humble Store. The latest addition to the steadily growing Humble Bundle, the Humble Store promises 10% of all sales to charity. Offering a wide variety of games, from Planetary Annihilation and Receiver to larger studio titles like Shadow Warrior and Arkham Origins, the debut sale is offering new games for steeply discounted prices every 24 hours. This new outlet for Humble Bundle titles promises clearer transactions, less DRM, and the opportunity to contribute to some very important charities. The Humble Bundles have been the source for the vast majority of the games in my current library. Like many gamers these days, I like being able to free myself from DRM wherever possible. The Humble Store clearly labels each title to indicate which are DRM free. Most titles are available as direct downloads for PC MAC or Linux. Most titles have the option of Steam Keys as well. The Steam optional draw is a big one for me. I love the service that Steam provides, but in a house of multiple gamers, it's important for us to be able to share the games we buy without having to get more than one copy. The upcoming "family sharing" option for Steam promises to put an end to some of those issues, but you still are unable to play simultaneously. The DRM free downloads don't exist in any kind of grey area. You own that content, plain and simple. In the early days of the Humble Bundles, I was careful to save every confirmation e-mail I received from my purchases, as it was the only way to access the games I bought should I ever need to download them again. For a little while now, Humble Bundle has maintained a free account service that keeps track of all your purchases and allows you to sort by bundle. Your humble store purchases are tracked the same way, and can be accessed at any time. The Humble Store isn't the first Steam alternative. Good Old Games has been in the games for a while, and offers the most complete collection of older PC and MAC titles anywhere online. The difference in the Humble Store is in it's donations to charity and the ease of navigation on the site. If you really want to get a great deal from the Humble bundle right now, I highly recommend the WB Games Bundle. You can get Arkham Asylum (GOTY), Arkham City (GOTY), LOTR: War In The North, Scribblenauts Unlimited, F.E.A.R 1-3, Mortal Kombat 1-3, Guardians of Middle Earth and more goodies for less than $5. 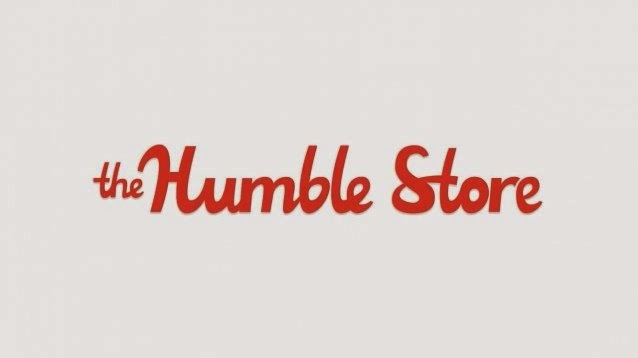 Keep an eye on the humble store as the Debut Sale continues. There are some great games to be had, and more are promised to arrive soon.